"Am I an alcoholic?" Lionel asked me with a tinge of desperation. "Mark, do you think I've got a drinking problem?" 'Alcoholic' is a scary label. It conjures up images of diseased livers, shattered lives with ruined relationships, discarded careers, always being at the whim of the demon drink, never being your own person, enslaved to the dictates of alcohol. I studied his face. Broken veins, dark under-eye circles, sunken cheeks. Lionel was thirty. "Firstly," I said, "alcoholism isn't something you have, it's something you do. There is no definitive 'alcohol gene' (1), and it's not a disease any more than chronic smoking is a 'disease' (2). But you know, of course, that it can kill you slowly. The fact that you are here, Lionel, wanting help shows me you feel drinking is a problem. Answer me these questions." "Okay Lionel, an alcoholic makes booze a big part of their life. How much of a part does alcohol play in your life?" Lionel looked at me for a moment. "Huge. In fact, I have to organize my whole life around it." Have you ever tried to cut down on your drinking because you're seriously worried? Have you ever got annoyed or felt insulted because someone mentioned your drinking? Do you feel you need to drink? Do you ever drink just to 'feel normal'? Do you feel that for something to be enjoyable it has to be accompanied by a drink? Do you ever drink in the mornings? Do you ever drink secretly? Do you suspect that alcohol is affecting your health? Do you never seem to have a drink-free day? Lionel replied "yes" to every question. But if you agree with any of the above, you may well have a problem with drink. So what should you do? I'm naturally wary of labels; I know how powerful they can be. How they can become self-fulfilling ("What do you expect? I'm an alcoholic!") and how they can induce us to feel that a temporary state is a permanent feature. 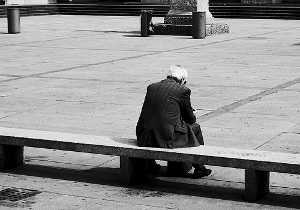 However, denial, self-delusion, and deceit mean that we may avoid addressing what has become an issue. The fact that you are reading this at all probably means you are at the stage where you realize that alcohol has become problematic. If alcohol really has become a problem (as it is for millions) and you feel you really can't manage it alone, then get help. Find a solution-focused therapist who will actively work to deal with your thinking, assist you in meeting your basic emotional needs, and also help you avoid relapse. Confide in friends or relatives and tell people you are cutting down (or stopping altogether?). If other people know, they can make allowances by not encouraging you to go to the bar every night or plying you with booze. Take a look at my other alcohol-related articles (Get Control of Your Own Alcohol Abuse and Achieving Alcohol Withdrawal) for ideas on how to discover what drinking is really trying to achieve for you and how to meet those needs in ways that don't damage you and your life. There's also a free relaxation audio session you can listen to instantly as part of the alcohol withdrawal article. This one sounds so obvious, doesn't it? If you're an alcoholic, you should abstain from drink. But what I mean is, right now, ditch the self-deceit. Decide to have three or four alcohol-free days a week. Alcohol is literally a poison - hence the 'toxin' in 'intoxicated'. Your body and brain need to recover - other people need to see that you can be booze-free. You need time and clarity to attend properly to your life. Of course, the more time you take off from drinking, the healthier you'll become. Don't let yourself go into situations where you might be tempted to drink. Rather than thinking: "I won't drink at the party tonight." - don't go to the party. Seriously. Not until you're well on the way to no longer being alcohol-dependent. Rather than thinking: "I'll buy this wine and beer for the weekend, but won't drink it before." - don't buy it before the weekend. Take time out from drinking and don't fool yourself into getting into a situation that you can't resist. 6) Use the power of your mind to help you say, "No!" Lionel no longer drinks half a bottle of gin a day. He's stopped downing a bottle of wine in the evenings and the five or six beers he'd "not really enjoy" at lunchtime. He has got his life back, won his freedom. You may be an alcoholic at the moment, but with will, courage, fortitude, and resolution, you can stop - and it may prove to be easier than you thought. 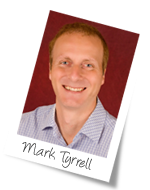 Click here to get Mark Tyrrell's tips on overcoming alcoholism, delivered in easily-digestible steps by email. If you'd like some extra help around Am I an Alcoholic? my company Uncommon Knowledge provides a huge library of hypnosis sessions through Hypnosis Downloads.com. I have helped create all the sessions there and have listed related downloads below. Please let me know in the comments section below how you get on. Although some people may be more susceptible than others, we none of us are born alcoholics. No 'alcoholics gene' has ever been discovered. The 'alcohol as disease' metaphor can be helpful up to a point for some people and is an idea adopted by Alcoholics Anonymous.